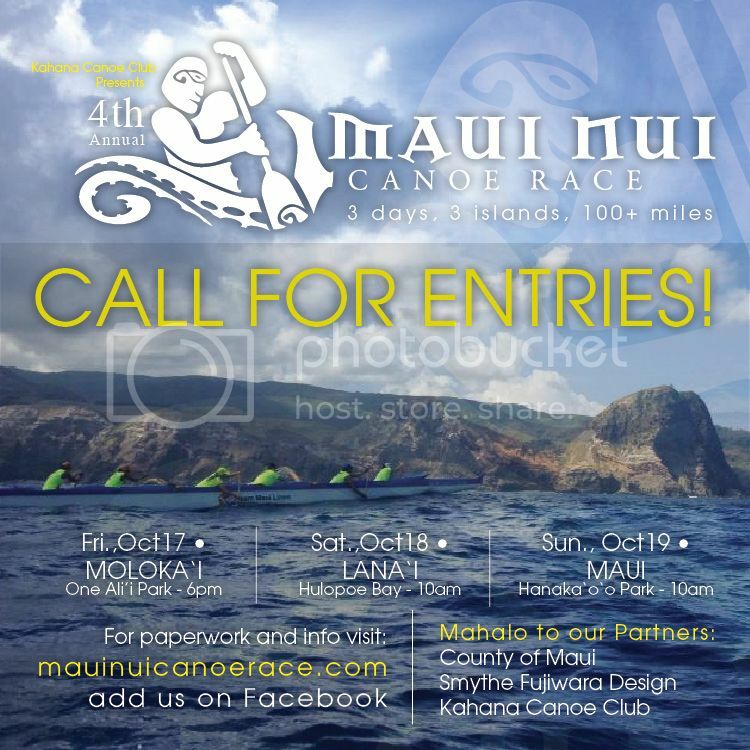 Maui Nui Canoe Race is an ambitious undertaking that will challenge the skill and endurance of all participants. With about 100 miles of paddling this race will span a length of 3 days and take you to three different islands within Maui County. • Encourage healthy fitness lifestyle alternatives. The Maui Nui Canoe Race is the brainchild of the Kahana Canoe Club. The Maui Nui Canoe Race is an ambitious undertaking that will challenge the skill and endurance of all participants. With over 100 miles of paddling this race will span a length of 3 days. At an affordable price this is not only a great value but will garner interest from ocean enthusiasts around the globe. 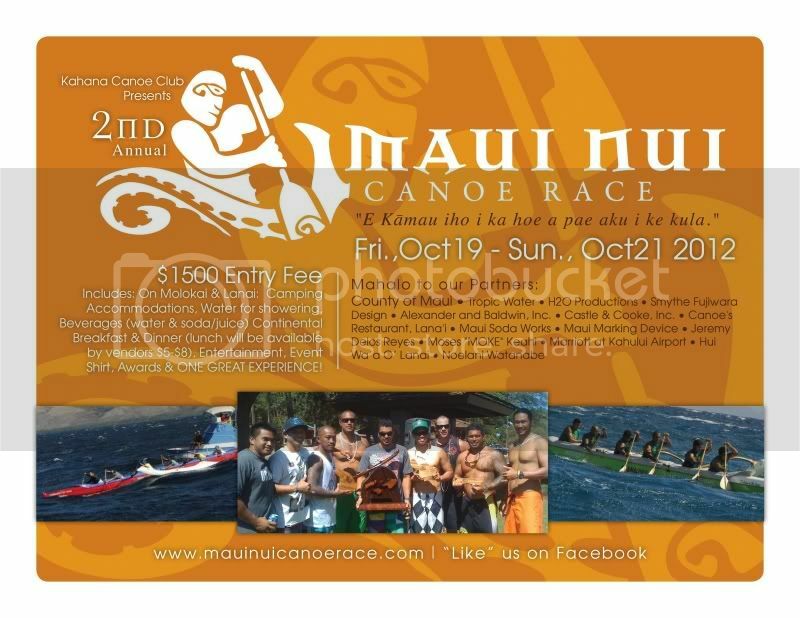 The Maui Nui Canoe Race is an ambitious undertaking that will challenge the skill and endurance of all participants. With over 100 miles of paddling this race will span a length of 3 days. At an affordable price this is not only a great value but will one day garner interest from ocean enthusiasts around the globe. 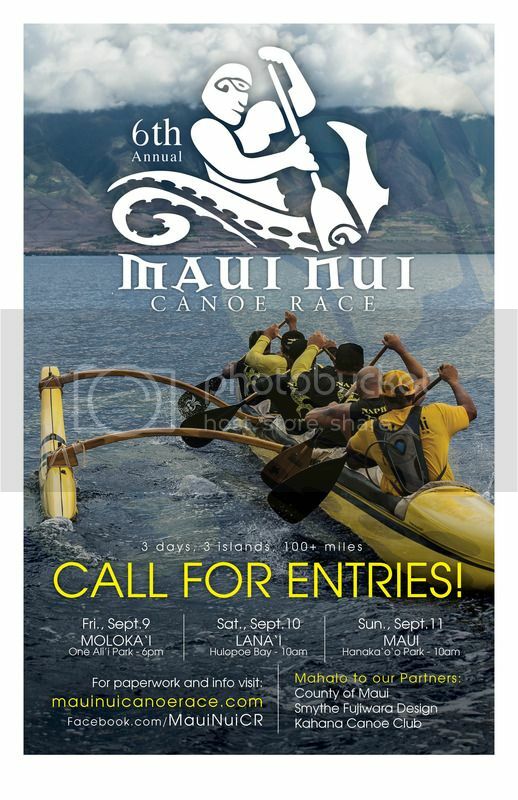 The MAUI NUI CANOE RACE committee is limiting the entries to FIFTY(50) crews to participate in this year’s event on a first come first serve basis.